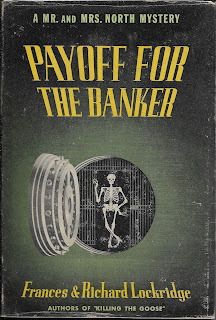 Pam and Jerry North find themselves plunged into their eighth murder mystery in Payoff for the Banker (1945) and this time there really isn't a good reason. Pam is at home minding her own business--finishing a bath--when the phone rings, rather insistently she thinks. She quite sure it must be Jerry, but when she reaches the phone it is the high and strained voice of Mary Hunter--a war widow that the Norths met briefly at a party just a week ago. Mary had just walked into her new apartment after a long day at work to find a dead body sitting and waiting for her. Upon closer examination, it is the body of the George Merle, big-time banker and father of a man that Mary once thought she'd marry. The George Merle who once made her feel small and worthless and drove her away from his son because he thought she was a fortune hunter. And now he's been shot to death in her apartment and she's scared. She immediately thinks of the Norths and their penchant for getting involved with murder and she knows they know a policeman...and maybe, somehow, that will help her. But their policeman, Bill Weigand, can't help but suspect her. After all, it's her apartment. And she knew the dead man. And Bill knows that she's not telling all she knows. But Pamela North hears something and sees something in Mary's face and immediately takes her under her wing. So, Bill also knows that Pam will be doing her darnedest to find a different suspect and will, in the words of Sergeant Mullins, make things screwy again. Besides, Bill Weigand is a good cop and it doesn't take him long to realize that there are others who might have wanted George Merle out of the way--from the son who may have discovered dear old dad's meddling in his love life or who may have just wanted to speed up his inheritance to the woman Merle has been playing around with and who claims to be having his child to his secretary who covered his boss's tracks and played husband to Merle's bit of skirt (and who may not have been just playing after all). Pam and Jerry aren't the only amateurs dabbling in detective work, Mr. Wickersham Potts, organist at the local church, has a way of seeing through people and he knows the leading suspects better than most. But the murderer isn't going to let the insightful Potts set the police on his/her trail and Potts joins an ever-growing list of victims. Bill must work fast to prevent a final corpse from being added to the tally. This is a nicely plotted mystery and, much as I love Pam & Jerry, it was definitely nice to see Bill Weigand get the solution before Pam. She thinks she knows who did it, but forgets that her clue could point in another direction. Lots of good fun in a well-loved series. I enjoy looking back at New York in the 1940s and 50s with the Lockridges. The atmosphere is well-done and the stories are told with a light touch. JN: Unless Pam decides it would confuse him. Which has happened. But if Pam means that we're not on anybody's side, as she does, she's right. If she means we're not protecting anybody. PN: Except if they didn't do it. And then, of course we would be. Unless we were wrong, of course. SM: Listen, I can't do that, Mrs. North. The inspector wouldn't like it. If the loot's going to see this guy Murdock at the Hotel Main on account of maybe he shot the old boy, the inspector don't want you in on it. That's what the inspector says. He says you make it screwy. SM: Absolutely. Like I was telling the inspector's secretary, who just came in. I can't tell you where Weigand is. And wouldn't if I could, Mrs. North. PN: Look, Bill. You make it sound awful. I'm sorry. I didn't mean to--to--what does Mullins say? Make it screwy. I just happened to notice. BW: Oh, the truth above everything, Pam. Even if inconvenient. Only I wish you'd happened to notice before I called Art--Inspector O'Malley. But here's what I'd like to do, with things the way they are. Let the killer think he's fooled us. Let him think he's pinned it on Murdock. Let him have his little laugh. Maybe he'll be lauging so hard he won't see us coming. And then we tell the newspaper boys sure, we planned it that way right along--a sp--a trap to catch woodcocks. Right. I think you've got something there, Inspector. We'll let it ride along as is for a while, anyway. And meantime I'll keep on it. Right? "The inspector thinks we'd better not tell the press it wasn't suicide," he reported gravely. "The inspector's got an idea there's no use telling the killer how much we know." He barely smiled. "He also thinks woodcocks are woodchucks. They've been eating his broccoli." WP: Conscience is a strange thing, don't you think, Lieutenant? WP: I was thinking of conscience as a compulsion. A compulsion to repay--to discharge an obligation. An obligation we may so easily overestimate. BW: Not the conscience of a murderer. That isn't what you're thinking of? WP: Not entirely. that would be interesting too, I should suppose. WP: Personally, I have never committed a murder. BW: No. A great many people haven't, Mr. Potts. A surprising number of people haven't. WP: Well, a surprising number of people have. It depends on what surprises you. BW: Yes. What surprises you, Mr. Potts. WP: Very little. Very little indeed, Lieutenant. I am sometimes surprised at how many things do not surprise me. 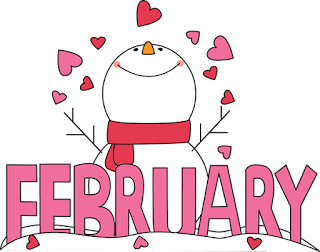 Update March 2019: Have found two more of the "Must Haves"--getting close to owning half the list. Yvette has unleashed my list-making monster. 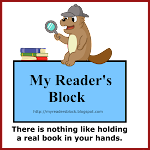 I just posted my Top 100 Favorite Mysteries--that would be the ones I've already read. That got me to thinking. I have a To Be Found list that's miles long. When my mother-in-law was heading to Florida for Christmas where her sister promised there was "one of the largest bookstores ever," mom-in-law offered to go on a hunt for me if I wanted to send her my list. I laughed and asked if she knew what she was asking (current list = 14 pages of Excel spreadsheets in tiny font--and that's just mysteries). She asked me to pare it down. 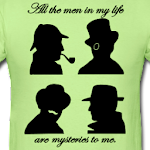 Now I'm wondering--what if I could only have 100 more mysteries come into my possession. Which books must I absolutely have? You'll find that a large number of these have a common theme--academic mystery. And, naturally, if I can only have 100 more, then I want them all to be either first editions with dust jackets or special editions where marked. If I'm going to dream, I'm going to dream big. 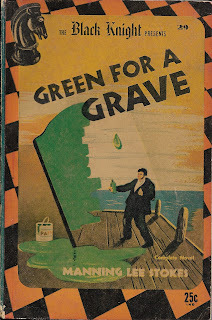 In Green For a Grave (1946) by Manning Lee Stokes, private eye Barnabas Jones is hired by Philip Keyes--for protection. Keyes is certain that someone is out to kill him. But he won't give Jones any information until the P.I. is on the spot. Keyes hires a cottage right on the waterfront for Jones and his secretary, Myra. He gives Jones a $500 retainer and says he'll tell Jones everything once they are installed in the cottage. But he never gets the chance. As Jones is settling into the cottage, Keyes is found slumped in his boat at Wake's Dock on the White River. The dock attendant and assistant who discover him think he's dead drunk and decide to play a little practical joke. They grab a can of green paint and proceed to paint his cheeks and nose, then take off his shoes and anoint his stocking feet as well. But then the assistant realizes the man isn't drunk--just dead. Myra was heading back to the cottage with supplies when she notices the commotion at the dock. She gives every evidence of the casual busybody and finds out just enough to tell her that her boss's client is now an ex-client. Barney could just as easily pocket his $500 retainer and head on home, but he's a bit perturbed that his client got knocked off before he even got a chance to try and protect him. Because no matter what the police may say, he's quite sure that Keyes was killed and he's determined to find out why. He's officially back on the case when Philip's friend Marcus Palfrey learns that Jones is in town and hires him to get to the bottom of things. It doesn't take long for the detective to unearth a number of people who may have wanted Keyes out of the way--including people who knew Keyes under another name and for his unsavory blackmailing habit. Jones knows he's getting close to the truth when he finds himself framed for murder and he'll have to work fast to find the killer before the police decide that the frame fits much too well. The Nursing Home Murder (1935) is the third Inspector Alleyn novel by Ngaio Marsh. The Bolshevik's have reared their ugly heads again (see A Man Lay Dead) and have been sending death threats to Sir Derek Callaghan, the Home Secretary. Sir Derek is due to present a very important bill before Parliament and there are those who would prefer that bill never see the light of day. He has also been experiencing bouts of extreme abdominal pain--refusing to see a doctor until he has launched his bill. But in the middle of his speech, the spasms are so great that he falls unconscious. 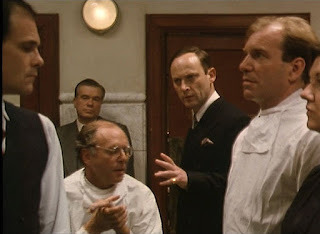 His colleagues are aware that his doctor is Sir John Phillips and he is rushed to Phillips' hospital where he will be in the most capable hands. But no one is aware of the serious argument the two men had just the night before or that Sir John has threatened the Home Secretary's life. 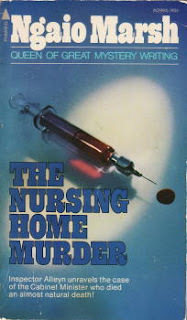 Nor are they aware of Nurse Harden who will be in the operating room--a woman who has recently been cast aside as Sir Derek's mistress and is the reason for Sir John's animosity. But these aren't the only ones with cause to hate the incapacitated man. 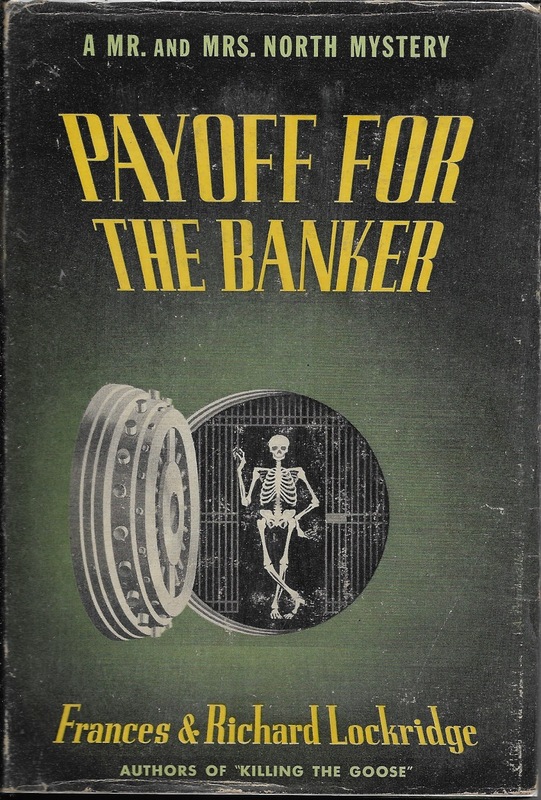 Nurse Banks is a member of the anarchist society who threatened Sir Derek's life. And though Dr. Roberts, the anesthesiologist, may not have a known hatred for the man on the table, he does have some odd and obsessive ideas about eugenics. And Dr. Thoms, also present for the operation, behaves a bit oddly as well. It doesn't help that Sir Derek's slightly loopy sister has been stuffing him with patent medicines that may have been provided by a chemist with Bolshevik leanings. Needless to say, after what seems to have been a successful operation on a perforated appendix, Sir Derek dies and his death is ascribed to heart failure. Lady O'Callaghan isn't having it. She's quite certain that the anarchists have gotten to her husband somehow. That is...until she discovers the threatening letter that Nurse Jane Harden was foolish enough to write. Convinced that her husband has been murdered, she calls Scotland Yard and demands a postmortem. 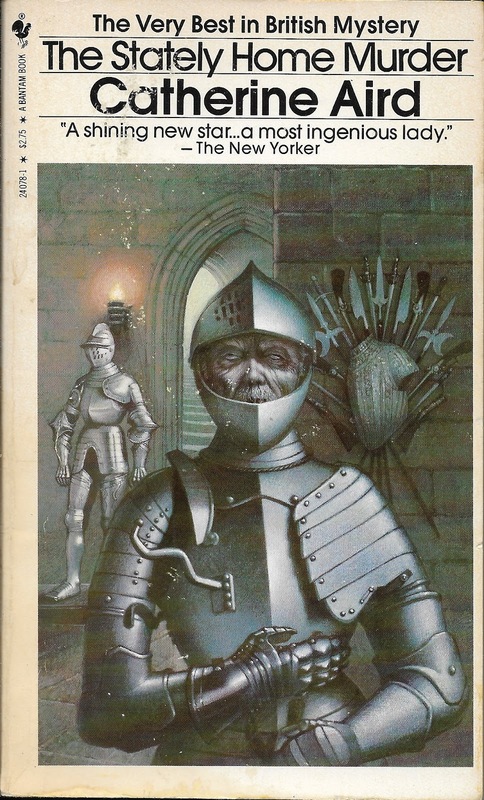 Inspector Alleyn interviews her and her butler, Nash--who reveals that he overheard Sir John threaten his employer as well--and reluctantly agrees that a postmortem is indicated. Lady O'Callaghan's fears are proved to be well-founded when the p.m. reveals that Sir Derek died from an overdose of hyoscine. It doesn't take Alleyn and Inspector Fox long to ferret out all the motives, but they have difficulty pinpointing the opportunity. In the operating room it would be difficult for anyone to mess about with the injections without someone else noticing. Alleyn finally resorts to that standard of crime fiction--the reenactment. And it is during the performance that he is given the clue that leads him to the culprit. This installment of the Alleyn stories again has Nigel Bathgate--but he has been relegated to the sidelines. Alleyn uses him (and his girlfriend) to help scope out a meeting of the anarchists, uses them as a sounding board for a synopsis of the case to date, and then as an audience for the final wrap-up and explanation scene. Honestly--roles that Inspector Fox could have filled more successfully (and will in later novels). Bathgate as a Watson-like character seems to be losing his charm. Fortunately, the same is not true of Alleyn and Fox and I thoroughly enjoyed their investigation--especially the reenactment scenes. ★★★ and a half. I also took the opportunity to rewatch this episode of the BBC series starring Patrick Malahide with William Simons as Inspector Fox. The story is kept intact save for two points--there is a second (wholly unnecessary) death (to add to the drama, I suppose) and the time period has been updated from the 1930s to the late 1940s/early 1950s so that the Bolshevik anarchists have become those who have strong feelings about the Palestine situation. Much as I like Belinda Lang as Agatha Troy, I was glad that she was not thrust into this episode as she was in "A Man Lay Dead." I do wish those who adapt mystery series would stick to the timelines established by the authors--and the first episode felt cluttered with both Troy and Nigel Bathgate running around as "outsiders" to the suspects. However, that quibble aside, the Alleyn series is quality mystery television and really quite well done. Mark Twain's Life on the Mississippi (1883) is a book of two parts. The first third or so is devoted to describing the years he spent on the river learning the trade of a riverboat pilot. We follow the young Samuel Clemens as he works his way up from a cub to steersman. He describes the "prodigious" amount of memory it took to be a riverboat pilot in those days--to memorize the landmarks and the various depths of the water along the way and "shape of the river" (how the river really runs in contrast to how it may appear to the casual eye). Each time the young Clemens thinks he's stuffed his head as full as can be and learned everything there is to learn, his mentor starts in on a whole new set of things that every pilot ought to know. 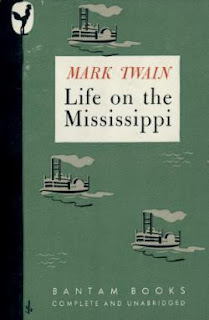 He has just managed to get comfortable with his knowledge when the Civil War breaks out and changes riverboat life forever--forcing Clemens into other lines of work before finally beginning his career as Mark Twain the writer. The remaining two-thirds of the book finds Clemens returning to the river after twenty-one years. He wants to see what riverboat life is like now and he plans to travel under an assumed name and gather stories for future writing endeavors. That doesn't last--a man who knew him on the river recognizes him pretty quick and it isn't long before Clemens tries his hand at piloting the great ship. He does a pretty good job considering that the shape of the river has changed greatly in many sections and various landmarks from his day are gone altogether. 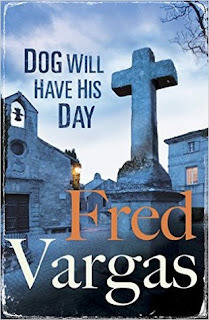 Dog Will Have His Day (1996) by Fred Vargas is the second in her Three Evangelist books. Readers were introduced to Marc, Mathias, and Lucien, dubbed The Three Evangelists after St. Mark, St. Matthew, and St. Luke by Marc's godfather/uncle, in the book of the same name. In that story, the three historians help Armand Vandoosler (the godfather/uncle and an ex-cop) solve the mystery of a missing neighbor. This story features Marc and Mathias in supporting roles to one Louis Kehlweiler. Louis Kehlweiler is quite a detective. The former French Ministry Agent is currently out of a job--but he can't help keeping his hand in and has set himself up at various locations around Paris, keeping an eye on suspicious characters he knows are up to no good. Lately, he's been keeping an eye on a certain politician's nephew. One morning as he's loitering on a bench, doing his best vagrant impression while watching the nephew's windows, he notices something odd in a bit of dog poo--somewhere, somehow a dog has come across a joint from a human toe, wolfed it down, and deposited under the tree beside his bench. Closer examination (ewwwww) reveals to Kehlweiler's expert eye that this toe belongs to a human who has been murdered. He takes his find to be thoroughly examined and discovers that it belonged to an elderly woman. Somewhere in Paris--or possibly elsewhere in France--an elderly woman has been murdered and Kehlweiler determines to find out who she was and who murdered her. A daunting task. 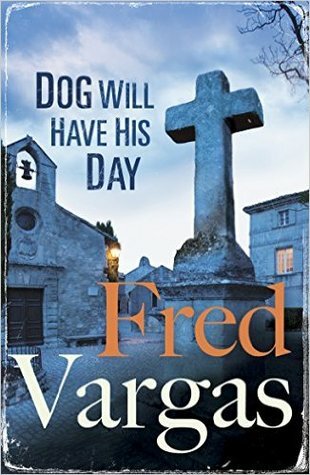 But he recruits Marc, one of The Three Evangelists to help him trace the dog. 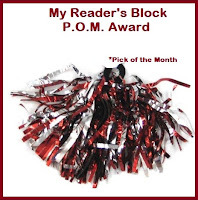 The dog leads them to Port-Nichols, a tiny fishing village, and, eventually, to Marie, an elderly busybody who knew too much about one too many people and was killed. The finger (or is it toe) of suspicion points to various villagers, but Kehlweiler is able to identify the culprit with the help of Marc and Mathias (a second Evangelist). He will also find the answer to another mystery that has haunted his family since the Second World War. As my synopsis above would indicate, this is really Louis Kehlweiler's book. He does the detecting with the able assistance of the two historians. And Kehlweiler is a very odd fellow--he is waltzing around with a toad named Bufo in his pocket, for crying out loud. And talks to it. And introduces Marc to it like they're going to be best buds. I spent most of the book feeling just slightly off-balance. Kehlweiler and his toad can do that to you. But the final third of the book makes the read worthwhile. I didn't mind our detective's bizarre way of talking (as if you'd come into a conversation half-way and he expected you to know what was going on) so much once he got down to cases and started following up clues in earnest. I do wish that there had been more hints about his personal mystery. It was quite satisfying to watch him get the upper hand on a man who had been on the wrong side of the French Resistance in the war, but it would have been even more so if the confrontation hadn't come out of the blue. We were aware of the WWII connection to Kehlweiler--but there were no hints of his private quest. Overall, an absorbing book. But one that demands a bit of patience from the reader. Fortunately, the conclusion of the story more than compensates for the demand. ★★★ and 1/4. 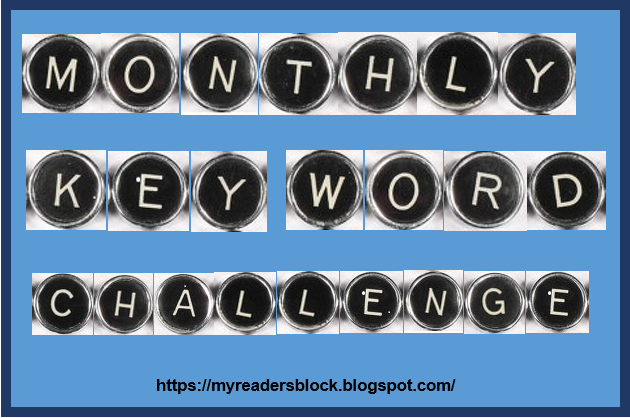 This was a solid mystery-reading month with ten of my thirteen logged in the mystery field and all entries coming in at three stars or better. 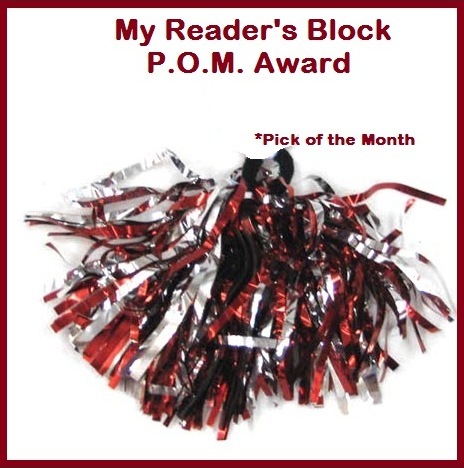 There were two five-star winners--both of them as rereads of books I first encountered over thirty years ago. 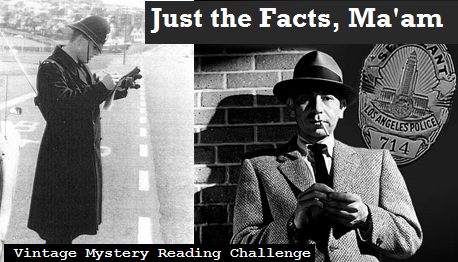 It was nice to see that favorites from my early days of mystery-reading still came up to scratch when I revisited them. The Daugher of Time by Josephine Tey and The Stately Home Murder by Catherine Aird were also my first introduction to each of these authors. Tey's historical mystery was just as entertaining this time around--even though I already knew what they found out and that it wasn't the big bombshell discovery that Carradine (and I) thought it was. I paid more attention to the research methods and the details than I did so many years ago. I enjoyed the little discoveries--the pieces found in letters and brief mentions in historical accounts that help them build their case for Richard's innocence. 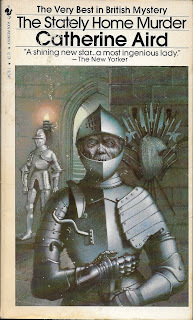 Not strictly speaking a straight detective novel, but it definitely helped get me interested in historical novels and in finding more Josephine Tey mysteries years ago. In February, I enjoyed listening to it in audio version from BBC Radio 4 Extra read by Paul Young because I can't figure out what I did with the hard copy I bought myself sometime after I read it from the library--younger Bev forgot to record the date bought on this one. The audio version was excellent. 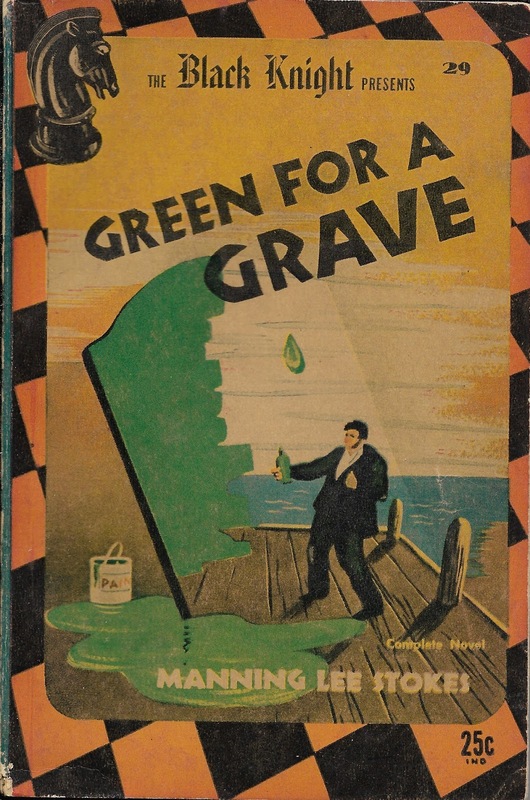 Aird has given us a mystery novel that is firmly rooted in the vintage works of the Golden Age. 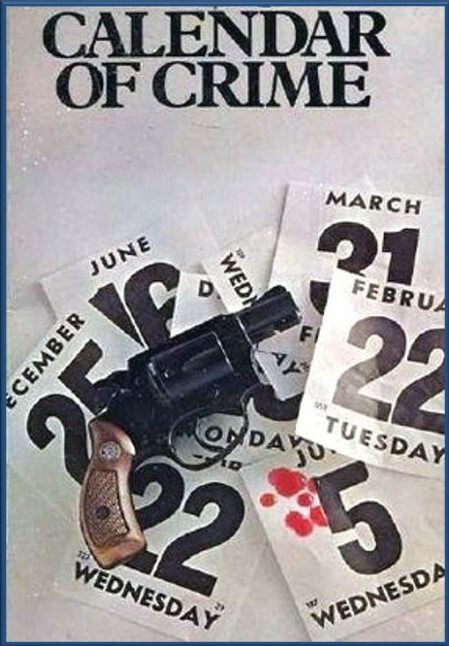 Though her book is set in the late 1960s, the detective work could have been done by Inspector Alleyn in 30s. The style of investigation is very much of an earlier era and she has made a definite effort to display her clues in a nod to the "fair play" school. That alone makes this an excellent novel, but she also entertains us by making fun of the very tropes she emulates. 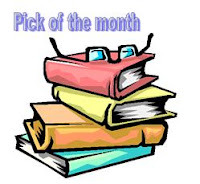 She plays on standard motifs and plot devices and serves up a denouement that should make classic crime buffs howl in dismay--but, it fits with the atmosphere she has skillfully employed. 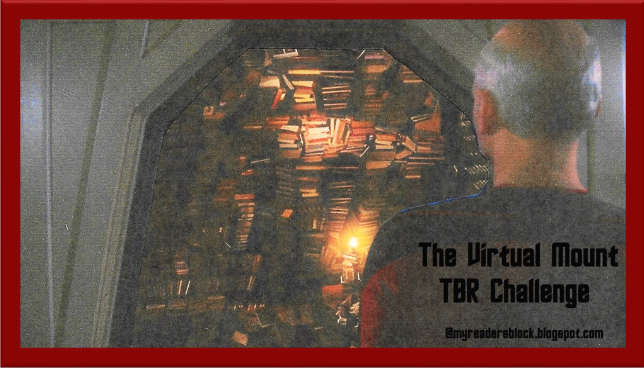 I hadn't signed up for my Read It Again, Sam Challenge for a while--primarily because I'm trying to clear as many never read books off the TBR pile each year. BUT I did have a number of books to read for challenges that I read many moons ago (junior high & high school) that I later bought copies of for myself, so I jumped in a gain. I signed up for the lowest level--Déjà vu: Reread 4 books and have now completed it. If I find myself doing more rereads, then I'll add them to the tally, but my challenge commitment has been met.